What's Next For Roger Federer? 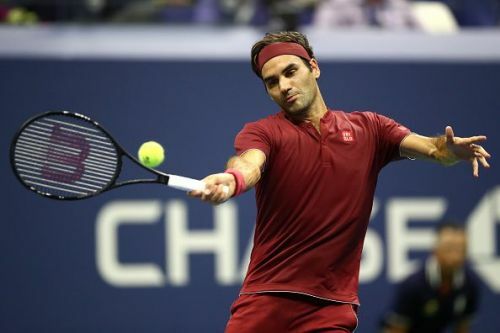 Roger Federer crashed out of the US Open last week, losing to Australian John Millman in a four-setter that upset most tennis aficionados and fans. Millman ranked 55, had never beaten a top 10-ranked player before and it was just fate that it had to be the great Swiss who was felled by the 29-year-old at Flush Meadows. Everyone had expected Federer to coast through and defeat Millman, but the latter had other plans. Federer cited the extreme heat and humidity in the press conference that followed, but perhaps it was a way of saying that he was no longer indissoluble or untouchable. The signs had been coming for some time now. He lost to Kevin Anderson in the quarterfinals of Wimbledon this July after winning the first two sets and gave in to a resolute Novak Djokovic in the Cincinnati Masters after dominating the whole tournament. He outshone history to win the Australian Open in January but after that, the results have been indifferent. This is not entirely unforeseen. Even though Federer had defied both age and antiquity to come back from injury and loss of form to win Wimbledon in 2017, dispatching every challenger with disdain and little empathy in his quest, these recent results have shown us that he is only human. Like vintage wine, Federer keeps getting better with age, but there is only so much that a man can achieve. He is the hope for people who believe that art will always win over utility. What Federer showed us sublunary souls was that you didn’t have to cuss, swear, cheat or take steroids to become the best in the world. And that is why tennis and people around tennis need him to hang around. This may only be a speed-breaker in the road to immortality and maybe he will keep playing until he is 50. But that is just wishful thinking and tennis is a young man’s sport. Roger will do well to survive another year or two without suffering from injuries of any kind. The greatest gift to tennis and sport, in general, may be on the wane and on the verge of calling it a day. I can only imagine how tempting it can be, sitting in his luxurious mansion in Basel and looking around the trophies and medals which adorn the walls, whispering to him that he has done all he could and that there’s nothing more left to be achieved. But that is not how the mind of Roger Federer works. He will keep playing tennis as long as he derives joy and enjoyment from the sport. He will keep competing because that’s what he knows best. It is not up to us mere mortals to decide whether he needs to carry on or stop and walk into perpetuity. What we can do best is enjoy him while we still can, because there may not be a lot of tennis life left in old Roger. And also because there will not be another Roger Federer coming around for a long, long time.